Enter the initials you’d like to personalize this pendant with. We will send a proof for approval within 48 hours of receiving your order. 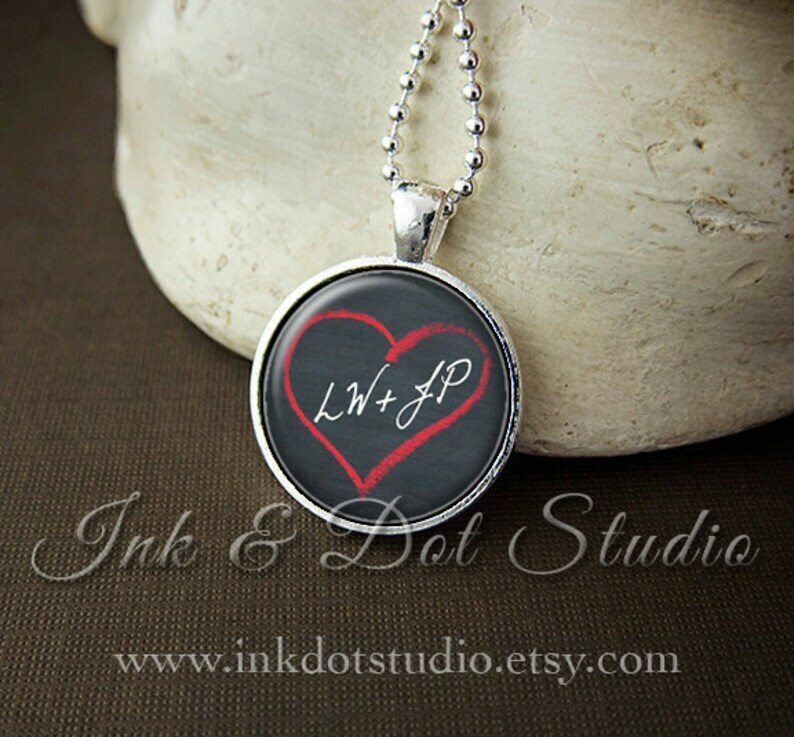 Customize this fun dusty chalkboard heart design with the initials of you and your significant other! The design features your initials in a fun red heart. This is an original design by Ink & Dot Studio. 1) Upon checkout, please list personalization details in the message to seller box. Or once you've purchased your pendant you can send these details to me in a message. 2) I will then work up a proof based on your specifications and message it to you for approval within 48 hours. Please check your Etsy messages for this proof.